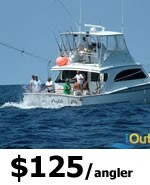 Congrats, You’ve found the premier and most affordable Miami fishing charters. 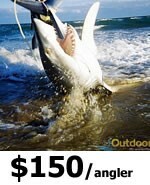 iOutdoor offers 3 main categories of fishing charters and 3 custom specifically designed for species in south Florida. We can accommodate your specific group size and needs no matter the style of fishing or weather conditions. 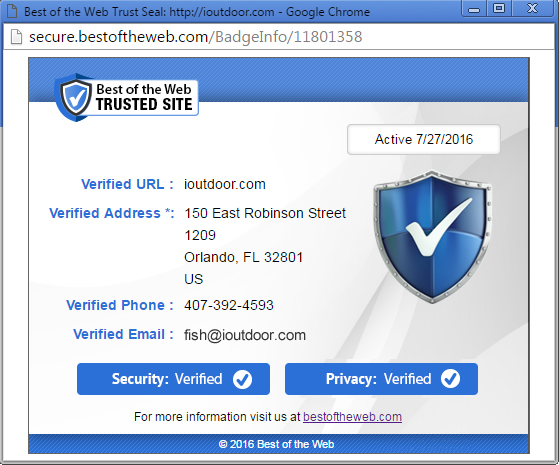 You may find a less expensive charters on the internet, but you won’t find more professional or experienced company with the best value for the price. These Miami fishing charters are built for all types of fishing conditions and to deliver a fishing experience unlike any other whether in freshwater, inshore or offshore. Miami is literally connected to the Gulf Stream as it curves around the tip of Florida, what this means is great fishing with easy access. iOutdoor offers Deep Sea fishing trips out of Miami for Sailfish, Wahoo, Shark, Dolphin, Swordfish, Cobia, Marlin and King fish. It takes less than ten minutes to reach the Gulf Stream or the Reef which begins your Offshore adventure. 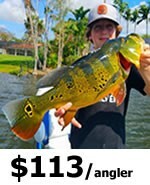 The Inshore fishing is one of the most popular thing to do in Miami. With Biscayne Bay, South Beach the Miami Heat arena there is just a lot going on. 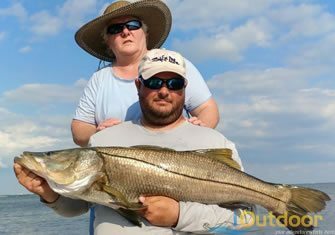 The fish that caught are snook, tarpon, sea trout, shark, cobia, and others. Something everyone should experience once. The freshwater fishing in the urban canals is world renown for the exotic Peacock bass, the hard fighting species from the Amazon. 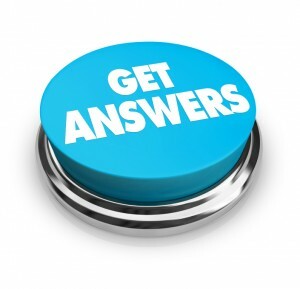 Read options below for all your choice in Miami. Miami is literally washed in the Gulf Stream as it curves around the tip of Florida… and this means great fishing with easy access. 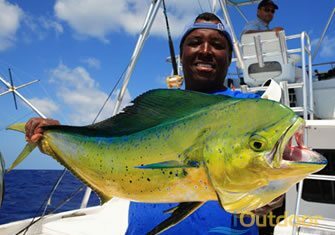 iOutdoor offers Deep Sea fishing trips out of Miami for Sailfish, Wahoo, Shark, Dolphin, Swordfish, Cobia, Marlin and Kingfish. It takes less than ten minutes to reach the Gulf Stream or the Reef and begin your Offshore adventure. 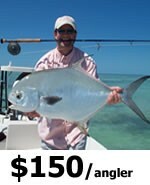 The Inshore fishing is one of the most popular things to do in Miami. With Biscayne Bay, South Beach the Miami Heat arena there is just a lot going on. 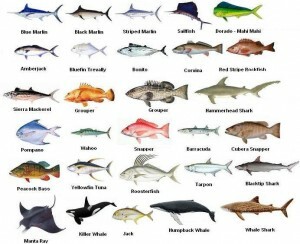 The fish that caught are snook, tarpon, sea trout, shark, cobia, and others. Something everyone should experience once. The freshwater fishing in the urban canals is world renown for the exotic Peacock bass, the hard fighting species from the Amazon. Read options below for all your choice in Miami. 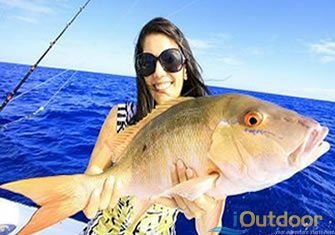 Search iOutdoor, Compare & Book the Best Miami Fishing Charters Today. Inshore, January sees very clear waters in Miami’s Biscayne Bay. 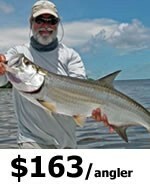 This makes for excellent sight fishing for species such as big Seatrout, Tarpon, and Bonefish. Nearshore, conditions can be windy. 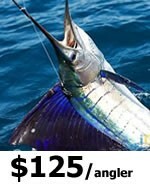 Sailfish is biting well. February is the beginning of high Bonefish season in Miami, which continues through June. Offshore, the Sailfish bite continues. Enter Miami’s famous Sailfish Challenge Tournament and test your skills! Large schools of Bonefish and Tarpon are caught in the bay. Head just a couple of miles offshore, and you will be in for a treat – everything is biting. 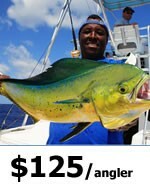 Go for Kingfish, Tuna, and Mahi Mahi. Some Tarpon start to leave the Bay to start their northwards migation, but they will still be caught in large numbers through June. Miami wreck fishing gets better and better and Mahi is caught offshore..
As the weather transitions towards Summertime, everyone wants to be on the water. Look out for the famous Miami Sportfish Tournament early in the month and the Bob Lewis Kids Fishing Classic on Memorial Day Weekend. Tarpon begin to be replaced by large schools of Permit in Biscayne Bay, making for some excellent shallow water fishing. Offshore, head to the reefs for Kingfish, Bonitos, and Blackfin Tuna. Permit continue to reside in the bay, with the larger Tarpon having moved on. Offshore, there is excellent fishing over the reefs and wrecks for Snapper and Grouper, with Kingfish and Bonito biting well. With surface water temperatures being very hot, some of the best fishing can be early in the morning and later in the evening. Head offshore to deep drop for a real sea monster! Bonefish are back on top form, as water temperatures are perfect for them. Troll slowly over the reefs for Kingfish and bottom fish for Snappers. As the weather cools towards the end of the month look for Sailfish. Fall arrives with easterly winds blowing. This brings Mahi Mahi closer to the shore, with Sailfish also appearing on the trail of schools of mullet that congregate over nearshore reefs. Fishing continues to be very good, with the Sailfish bite picking up in earnest near shore. Blackfin Tuna and Wahoo can also be caught over the reefs, while inshore action remains as good as ever. Tarpon begin to reappear in Biscayne Bay as they return from their migration in the north. Temperatures remain in the high 70s, making fishing very pleasant. Sailfish and Wahoo are biting well offshore. 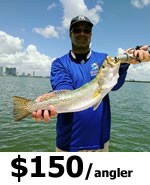 Call us at +1 (888) 412-1117 and let’s start planning your Miami FL Fishing charters! For additional Miami information be sure to go to Visit Miami.